“Debt Cartoon.” Steven Millstein. Photo by CreditRepairExpert. The first major debt restructuring in Puerto Rico is now final. The debt involved, known as COFINA—Corporación del Fondo de Interés Apremiante, or Urgent Interest Fund Corporation)—was incurred supposedly to fund development in Puerto Rico, but much of it simply refinanced older debt. COFINA was responsible for 24 percent or $17.5 billion of Puerto Rico’s debt. Puerto Rico’s total debt is estimated to be $72 billion. Senior bond holders, many of them hedge funds, will receive 93 cents on the dollar. Junior bond holders, many of them Puerto Rican citizens, will receive a little under 55 cents on the dollar. All told, 68 percent of the debt was restructured, while nearly a third was written off. Meanwhile, Puerto Rican taxpayers will commit 54 percent of sales tax revenues to bond repayments for the next 38 or 39 years (depending on the bond). Effectively, 5.5 cents out of every dollar spent on taxable items in Puerto Rico will now be dedicated to repay bondholders. The news is grim. 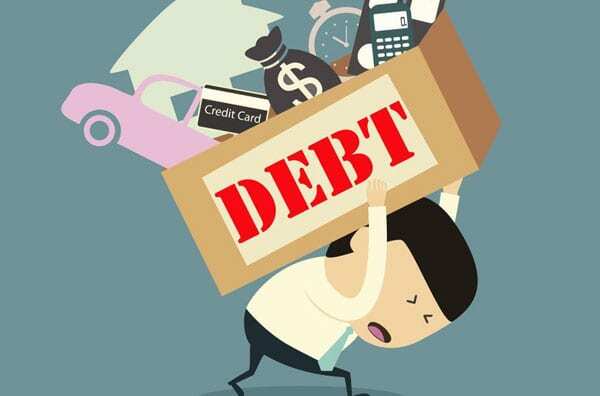 Still, by spreading payments over more years and reducing debt, the maximum annual payment to bondholders falls from $1.85 billion a year to $992 million a year, according to Hazel Bradford of Pensions & Investments. Because sales tax revenues had been held until an agreement was reached, government annual revenues will now rise by $425 million. It is worth recalling that Puerto Rico declared bankruptcy on May 3, 2017—over four months before hurricane Maria. Technically, as NPQ’s Cyndi Suarez points out, this was a restructuring under Title III of PROMESA (Puerto Rico Oversight, Management and Economic Stability Act). Some thought the tremendous loss of life and infrastructure wrought by Maria would result in large-scale debt forgiveness. Initially among them was President Donald Trump, who told Fox News that “Puerto Rico owes “a lot of money to your friends on Wall Street, and we’re going to have to wipe that out.” Trump’s comments were quickly walked back. Still, Dennis and Connor note that subordinated bond prices averaged “15 cents on the dollar between October 2017 and April 2018,” which reveals how much debt write-off many anticipated. Obviously, investors will do better—and Puerto Rico worse. Hedge fund investors also benefit. As Dennis and Connor explain, “These include public-sector worker retirement systems, university endowments, and foundations.” Baupost, for example, counts Harvard and Yale as clients, who will now profit at the expense of Puerto Ricans. Six years after its bankruptcy, Stockton, a city of 300,000 located in California’s San Joaquin Valley, is seeking to raise nearly $60 million from philanthropy to address its social needs.